For many public sector employees, the human resources (HR) department is viewed as the place where benefits are processed, job descriptions are generated, orientation sessions are conducted and staffing levels are maintained. None of these assumptions is incorrect. However, HR managers are also called upon to spend considerable time in intense involvement with other people who are facing psychological, social and/or physical problems. Solutions for these problems are not always obvious and easily obtained, thus adding even more stress to an already stressful situation. Often, these overwhelmed employees are suffering from that evasive, and at times pervasive, syndrome known as employee burnout. Considering that we operate in a world where catch phrases such as “multi-task,” “do more with less,” and “cut the fat” are the order of the day, it’s no wonder we have overwhelmed employees in our organization. 1. Exhaustion results from the depletion of emotional resources to cope with the current work environment. This is the stressed out, overwhelmed employee. 2. Cynicism is an individual’s distant attitude toward the job. This is the disgruntled employee. 3. Inefficacy is a reduction in personal accomplishment. This is the stressed out employee who has developed a cynical attitude and has given up trying. • A typically prompt employees is late on a regular basis. • There’s a drastic increase in the number of days an employee is calling in sick. • You see a change in attitude or demeanor. For instance, an otherwise happy employee becomes irritable and touchy for an extended period of time. • There’s a marked decrease in the quality of performance. For instance, a usually accurate and efficient employee is making basic mistakes, over and over. • They’re less sociable. Employees who are experiencing burnout may start avoiding colleagues and isolating themselves at work. • There are physical signs. For instance, drastic and rapid weight loss, or self-destructive behavior, such as alcohol abuse. • Lead through example: Change is often most powerful when it comes from the top. Leaders should have—and should grant themselves—permission to take these steps, setting an example to help their employees deal with being overwhelmed. • Get input: Assess employees’ current workloads and what issues trouble them most. Rather than ask high-level engagement questions, survey them on their most “frustrating” work practices or systems. • Simplify HR and talent programs: Reduce the number of steps and make it possible to complete an entire process in a few minutes. • Simplify information and HR systems: Consolidate HR and employee systems in favor of what we call a “learning architecture”—one integrated place to find information, people and content. • Publicize and celebrate flexible work policies: Employees need to understand that it is OK to work at home, take time off during the day and miss meetings. Clear policies help make it possible for people to disengage from less important tasks when they are busy with other projects or personal needs. • Make meetings productive: Post guiding principles in every meeting location to encourage effective meetings. Help people reduce the size of meetings, number of emails and frequency of communication. Schedule meetings for 20 or 50 minutes rather than 30 or 60. “Stand up” meetings are a powerful way to keep people from wasting time. • Delegate decision making: Is it clear who makes decisions in your workgroup? Can people make their own decisions without involving many others or asking others for help? Push decisions down and people’s lives become easier. As the savvy HR manager is well-aware, bringing about organization change or merely trying to influence an entity’s culture takes time and patience. 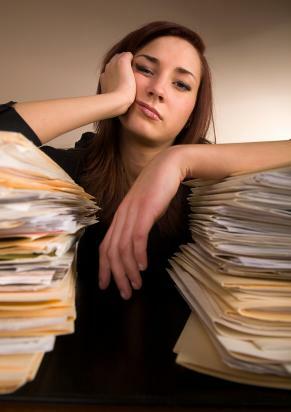 Consequently, one must not assume that employee burnout symptoms will disappear overnight. However, by putting the right interventions in place, leadership will be taking an important step in the right direction in preventing and combating employee burnout. Author: Joseph G. Jarret is a public sector manager, attorney and mediator who lectures full-time on behalf of the Master of Public Policy and Administration program in the Department of Political Science at the University of Tennessee, Knoxville. He is a former United States Army Combat Arms Officer with service overseas and is the 2013-14 president of the E. Tennessee Chapter of ASPA and holds the B.S., MPA and J.D. degrees and is currently pursuing the Ph.D. in educational leadership & policy studies.